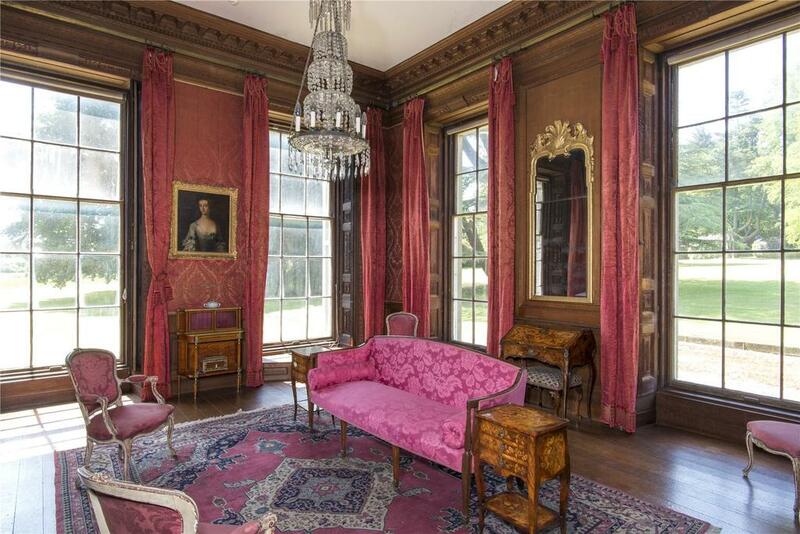 Dr Johnson visited almost half a century after Ombersley Court was last for sale – it's every bit as grand today. The announcement of the sale, for the first time since 1723, of the Sandys family’s Grade I-listed, Georgian Ombersley Court at Ombersley, six miles from Worcester, has apparently caused a flurry of excitement and angst among conservationists, historians and the property market at large. 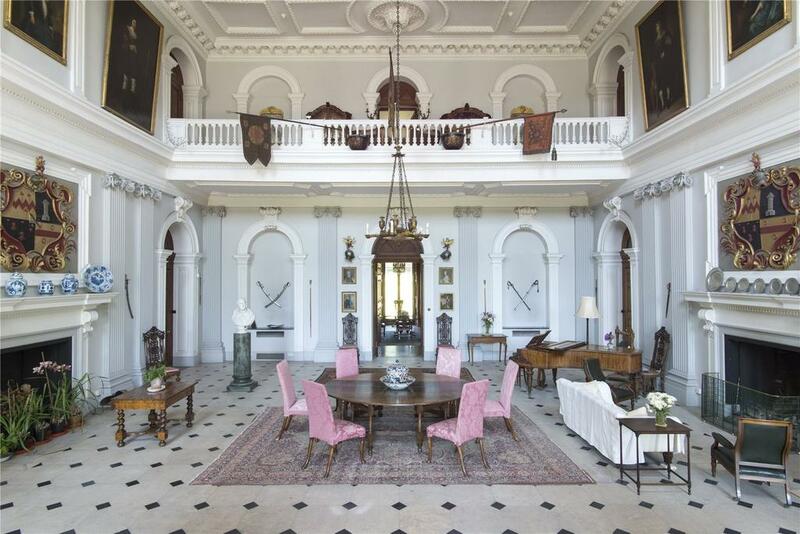 The magnificent Georgian country house is being offered by Savills Country House department at a guide price of £3.5 million for the main house, its Grade II*-listed stable block, outbuildings and 39 acres of gardens and parkland overlooking the Malvern Hills. 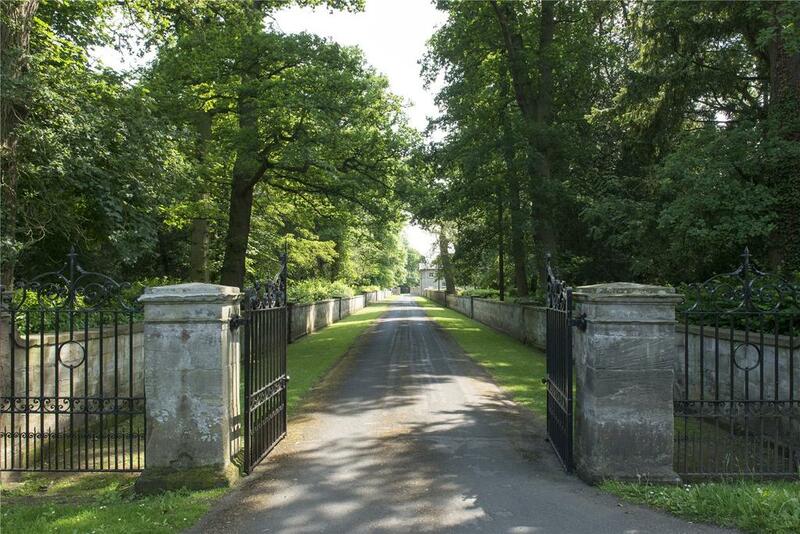 A separate four-bedroom cottage and a further 11¼ acres of land are available for £450,000 and £175,000 respectively. Rumours of the building’s imminent conversion to a respite-care home have been greatly exaggerated, insists selling agent James Walker, who points to the fact that no outsider has been allowed inside the house since the early 1950s, when it was the subject of three definitive articles by Arthur Oswald in Country Life (in January 1953). a progressive and positive future for the house and its historic contents – although the latter are not part of the sale,’ he adds. Once owned by Evesham Abbey, the manor of Ombersley was acquired by the Sandys family in the early 1600s, when Sir Samuel Sandys, the eldest son of Edwin Sandys, Bishop of Worcester and later Archbishop of York, took a lease on the manor, before receiving an outright grant in 1614. 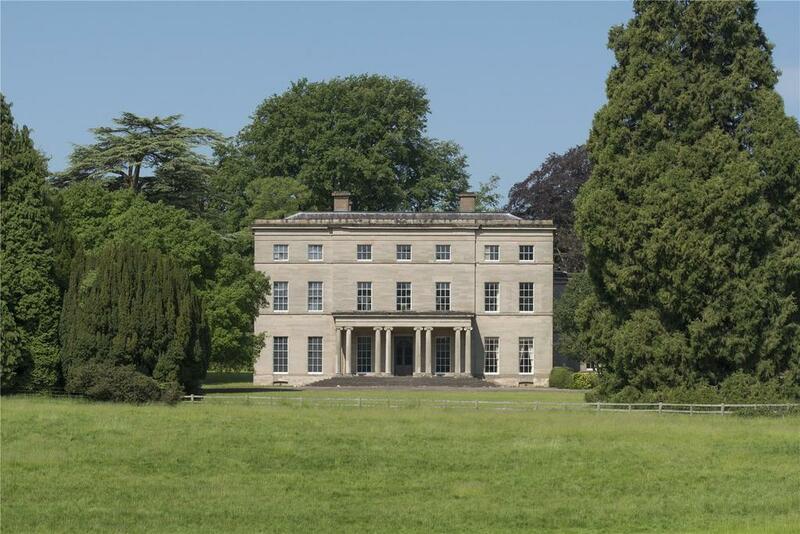 The present house dates from the time of Samuel, 1st Lord Sandys, who, according to county historian Nash, employed Francis Smith of Warwick to build ‘the house at Ombersley, which is strong, handsome and convenient’, between 1723 and 1730. The great Samuel Johnson’s visit came some half a century later. ‘September 13. We came to Lord Sandys’s at Ombersley, where we were greeted with great civility. The house is large. The hall is a very noble room,’ wrote Dr Johnson on visiting in 1774. In 1812–14, the exterior was substantially altered by Mary Sandys, the widow of the 2nd Marquess of Downshire, who inherited Ombersley on the death of her uncle, the 2nd Lord Sandys, in 1797. In 1809, ‘the little Marchioness’, as she was known, commissioned the landscape architect John Webb to substantially alter both grounds and buildings. The original brick house was clad in stone and a portico added, along with the large dining room and the stable block. A service wing to the north, providing kitchen and staff accommodation, was demolished in 1964. 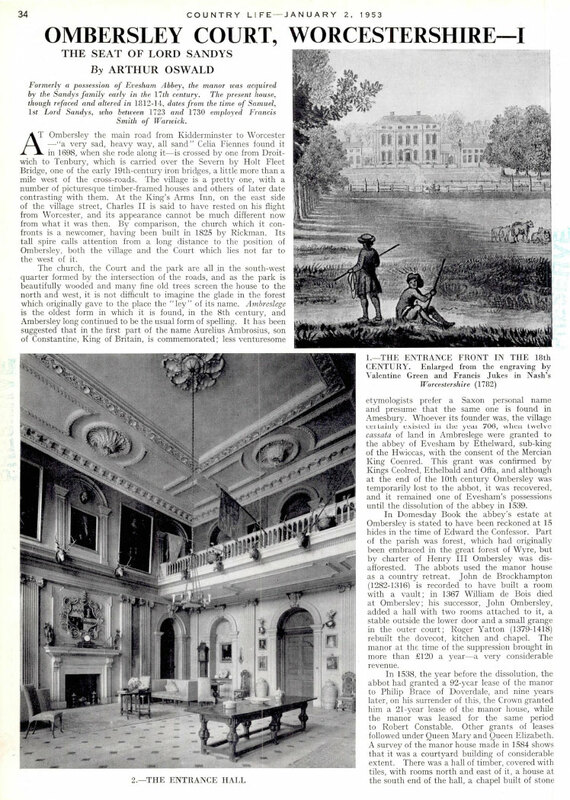 Surrounded by an enfilade of seven fine reception rooms, the Great Hall, with its double-height ceilings and extensively detailed mouldings and cornicing, is still the imposing heart of the house, which has remained largely unchanged since the late Lord and Lady Sandys moved there in the early 1960s. 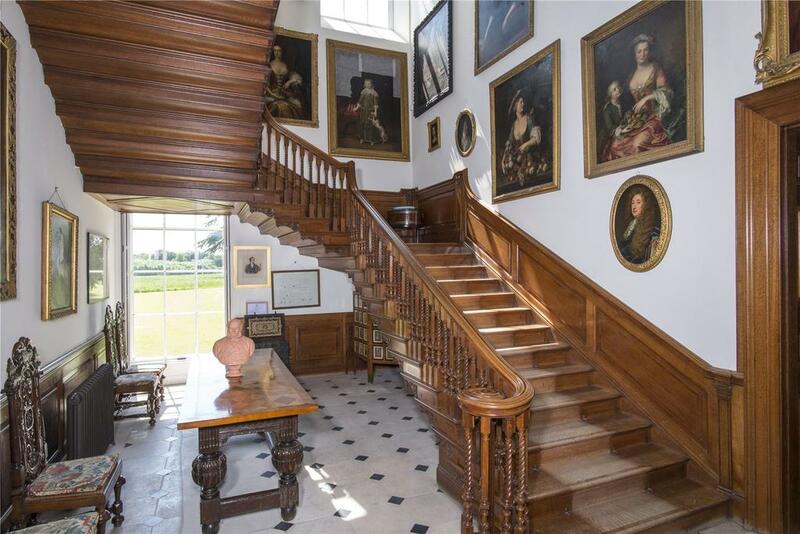 A beautifully decorated staircase with twisted balustrades and handrails leads to the first floor and six main bedrooms, one of which is named after the Duke of Welling-ton, who stayed at Ombersley Court as the guest of the 2nd Baron Sandys, who was one of Wellington’s aides-de-camp at the Battle of Waterloo. In all, the main house has 27,500sq ft of living space on four floors, including a warren of rooms on the lower-ground floor. 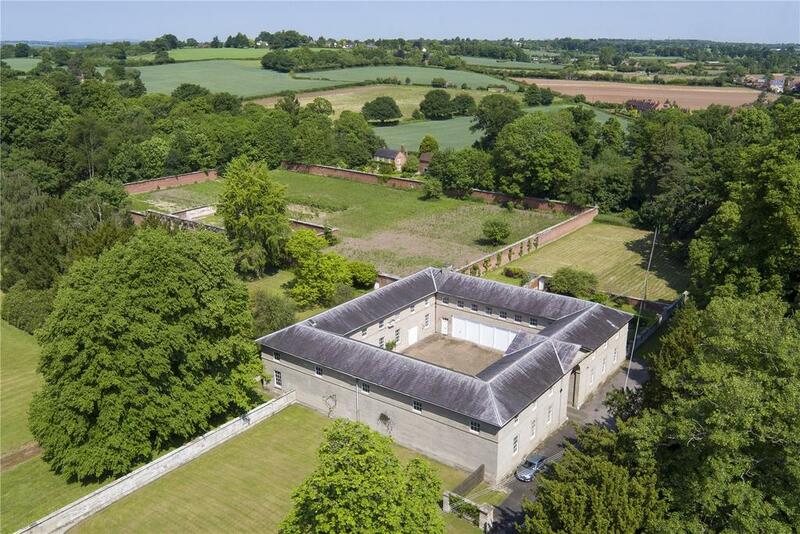 The impressive, Grade II*-listed stables, arranged around an open courtyard, sit conveniently close to the house and include former loose boxes, more recently used to provide garaging and storage. In 1964, planning consent was granted to convert part of the first floor into three self-contained flats. To the rear of the house are an old pump room, kennels and further outbuildings, including an ice-house, which is located in woodland to the south-west of the house.